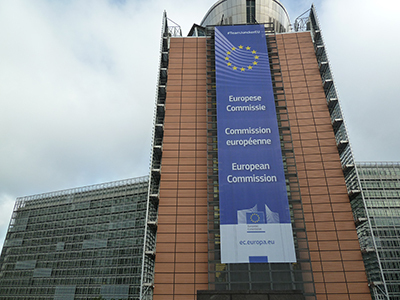 The Directorate-General Joint Research Centre (DG JRC) is the European Commission’s in-house science service and supports EU policies through evidence-based scientific and technical advice. 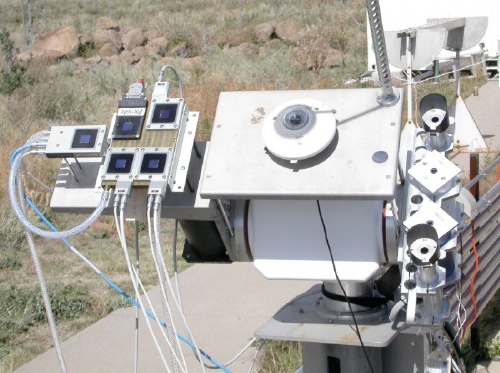 It is the only Commission service that carries out research and scientific activities. We work in close cooperation with almost all policy departments of the Commission. The JRC tackles the main societal challenges, stimulates innovation through developing new methods, tools and standards, and shares its know-how with the Member States, the scientific community and international partners. Our DG draws on over 50 years of expertise and continually adapts and builds its capacity from the knowledge and skills of its scientists drawn from the EU Member States, using state-of-the-art laboratories and unique research facilities located in Belgium, Germany, Italy, Netherlands and Spain. The JRC is actively involved in all stages of the EU policy making. It starts with policy anticipation, for which our experts identify emerging issues, anticipate future policy needs and contribute to the agenda-setting of the Commission and beyond. At the policy formulationstage, the JRC provides the scientific evidence that enables policy DGs at all stages of the inter-institutional decision-making process to compare the impacts of various policy options as well as of amendments proposed by the Council or the Parliament. In the stage of policy implementation and evaluation, the JRC contributes to the monitoring through the development of indicators, maintenance of databases and information systems, through EU Reference Laboratories, observatories and networks. Our work is defined by the Commission priorities. Currently we are organising our activities to best support the political priorities of President Juncker in the areas of growth, jobs and innovation; low-carbon economy and resource efficiency; climate change; economic and monetary union and single market. The Energy Union is one of the 10 priorities of the current Commission. Once successfully implemented, it should significantly reduce Europe’s reliance on fossil fuels by promoting renewable and indigenous sources of energy as well as energy efficiency, fighting global warming, and removing barriers to the flow of energy, in a fully integrated EU-wide energy system. European citizens will benefit by seeing their energy bills limited through use of smart technology, as well as by being able to generate own energy from renewable sources and feeding this into the electricity grid, which will lead also to improved energy security and reducing the risk of black-outs. Estimated benefits for businesses include an increase in energy productivity due to new energy and climate-related technologies and services; green growth and jobs in the EU and export opportunities abroad; more certainty for investors, with price signals reflecting long-term needs and clear policy objectives. The JRC provides scientific support to the Energy Union in many areas, including energy efficiency in buildings, cities and consumer appliances, analysis of the capacity and vulnerability of gas and electricity supply networks, promotion of regional cooperation, support to climate policies, decarbonisation of transport through electric cars and batteries, as well as nuclear energy. The JRC contributes to the implementation of energy efficient technologies by assessing technology deployment and market uptake, developing energy-consumption calculation methodologies and defining criteria to assess policy measures. We collaborate with the European Committee for Standardisation (CEN) to develop an overall energy consumption calculation methodology. To calculate the reduction of energy consumption in buildings, a common calculation methodology is needed to include all the aspects determining the energy consumption of the building which combines energy savings (e.g. insulation), increased energy efficiency in heating and cooling, use of renewable energy resources and the behaviour of the occupant. Calibration measurements of reference PV cells at the JRC. The JRC runs the European Solar Test Installation (ESTI), a reference laboratory for assessing the performance of emerging and innovative photovoltaic technologies. Since early 2013, JRC has been carrying out the ‘sustainable product policy‘ pilot project, contributing to the promotion of more energy efficient products under the frame of the eco-design and energy labelling Directives. The JRC European Product Bureau was set up to support the implementation of European sustainable product policies such as: Ecolabel, Green Public Procurement, ErP (Ecodesign of Energy related products) and Energy Label. It provides technical, economic and environmental information needed for the implementation of the respective policy instruments, organises and carries out consultations and contributes to the drafting of legal texts. According to a recent JRC study, electricity produced by renewables accounted for 64% of the GHG emissions savings in 2012. Market integration of renewables and regional cooperation can enhance security of electricity supply, benefitting also Slovak customers and businesses – Projects of Common Interest (PCIs) can help deliver the enabling infrastructures. Under the trans-European energy infrastructure regulation, the JRC has developed a methodology to serve as guidance for the proposal and evaluation of PCIs in smart electricity grids. They are key energy infrastructure projects, which will help Member States to integrate their energy markets and diversify sources to supply Europe's networks, including electricity from renewable energy sources. We develop and implement techno-economic models to identify potential crises and flaws affecting gas infrastructure and supply (markets), and provide EU Member States with guidance on the security of gas supply and on reviewing gas systems’ risk assessments. This includes international gas trade via liquefied natural gas, and the new gas transport infrastructure through Turkey to the Middle East and the Caucasus. 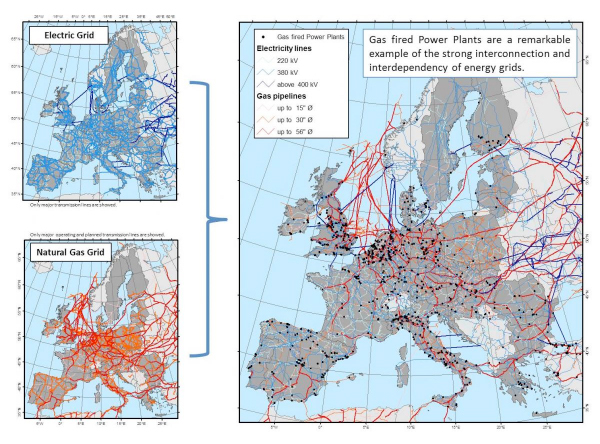 JRC works on modelling and assessing interdependencies of gas and power systems. JRC-developed modelling tools support energy and climate longer-term strategies. Currently a new modelling instrument for an EU-specific energy market scenario analysis between 2020 and 2050 is being developed, which will be used as a basis for the longer-term policies in the fields of energy, climate and environment. JRC coordinates the Commission's Strategic Energy Technologies Information System (SETIS). The bubble graphs illustrate the maturity of various types of low carbon energy, energy potential and challenges for their implementation for the year 2020 and 2050. In May 2015, together with regional policy DG, we have launched the Smart Specialisation Platform on Energy, to support the Member States and regions in the effective uptake of Cohesion Policy funds for energy, and to better align energy innovation activities at national, regional and local level. Proactive 'match-making' for Member States and regions that have planned investments in energy innovation will be developed. 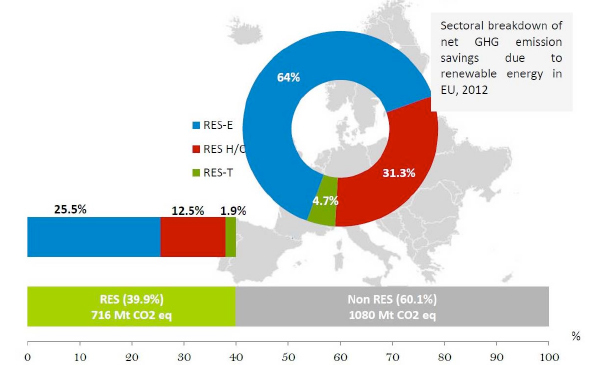 Smart specialisation platform on energy supports EU regions to develop low-carbon solutions. Launch event took place in May 2015. The JRC provides scientific support to the European Union Strategy for the Danube Region, by helping toidentify the policy needs and actions necessary for the implementation of the strategy and by contributing to the better cooperation amongst the scientific community of the Danube Region. The scientific support to the strategy is built around four flagship clusters, which focus on the key resources of the Danube Region, namely water, land and soils, air, and bioenergy. For example, the Danube Bioenergy Nexus focuses on the high potential of the region, including Slovakia, for developing renewable energy from materials derived from biological sources. The scientists zoom in on resource assessment and statistical monitoring of the possible impacts on agriculture and environment. 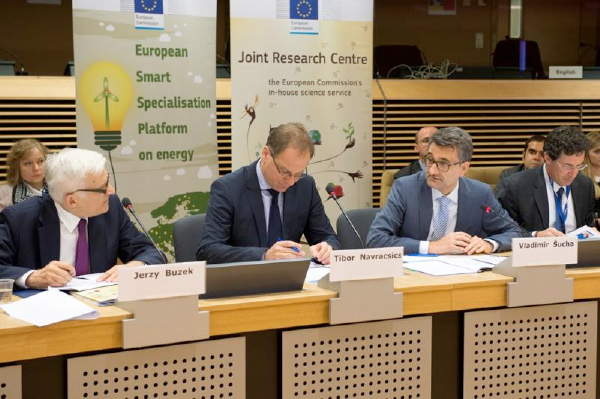 The JRC contributes to the roll-out of smart grids through work on their safety (stability), security and international standardisation. It has developed the first comprehensive inventory of smart grid projects in Europe (http://ses.jrc.ec.europa.eu/). The JRC also maintains a smart grid simulation centre, analyses relevant technological, social and economic factors and disseminates information on smarter electricity systems. We also chair the European smart grid task force stakeholder forum, which works on enhancing the cyber-security of the next generation smart-metering systems. The JRC conducts research on several aspects of the transition to low carbon transport, including analysis of the performance and safety of electric vehicles and their batteries, pre-normative research on global standards for electric vehicle and smart-grid interoperability, as well as on standards for electric charging and hydrogen refuelling. The JRC is also developing an integrated modelling toolbox to analyse technological, market and behavioural aspects, as well as policy options for electro-mobility. Our research on alternative fuels (non-petroleum) is focused on sustainability and techno-economic viability, in particular that of bioenergy/biofuels in the road transport and aviation sectors. 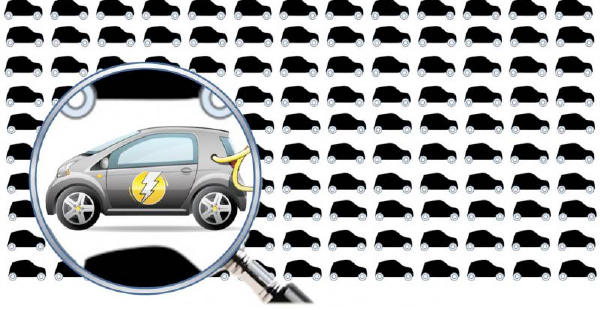 According to the recent JRC report, the number of sold electric cars rose from 760 in 2010 to more than 70 000 in 2014. The JRC also provides scientific and technical support to cities in the EU Member States and Eastern European, Central Asian and Southern Mediterranean countries for the development and implementation of local sustainable energy plans (SEAPs), in the frame of the Covenant of Mayors initiative. So far four Slovakian cities have joint this initiative: Bratislava, Moldava and Bodvou, Nitra and Turčianske Teplice, with more cities expected to join in the future. In the area of nuclear installations decommissioning, the JRC is cooperating closely with Slovakia, where three reactors are currently in dismantling. As nuclear decommissioning is a rather new activity, the process requires specific skills and competences. The University of Technology in Bratislava has created the European Decommissioning Academy in which the JRC has played an active role. Slovakia is indeed interested to further develop education and training, not only for Slovak students but also to share the unique experience acquired in Slovakia with other EU countries. JRC has further launched an initiative for an integration of training programmes in decommissioning, in which the University of Technology will be one of the important partners. The EU has set up a regional network to improve the collection and implementation of operational experience, called the European Network on Operational Experience Feedback for Nuclear Power Plants - EU Clearinghouse. The overall objectives of the EU Clearinghouse are to facilitate sharing and implementation of operational experience to improve the safety of nuclear power plants. The EU Clearinghouse is organised as a network operated by a centralised office located at the JRC's Institute for Energy and Transport in Petten, the Netherlands. It currently gathers 16 European Safety Authorities, including the Slovakian Regulatory Safety Authority, who participates as an observer. The above are but a few examples of the many different areas in which the JRC provides scientific support to energy policy. It is important to stress that we are closely engaged with relevant scientific bodies, international standardisation institutions, national and regional authorities and industry, with the ultimate goal of working towards cleaner, safer, more sustainable and affordable energy for Europe. Vladimir Šucha is Director-General of the Joint Research Centre of the European Commission, its in-house scientific service. He was Deputy Director-General of the JRC between 2012 and 2013. Prior to that, he spent 6 years in the position of director for culture and media in the Directorate-General for Education and Culture of the European Commission. Before joining the European Commission, he held various positions in the area of European and international affairs. Between 2005 and 2006, he was director of the Slovak Research and Development Agency, national body responsible for funding research. He was principal advisor for European affairs to the minister of education of the Slovak Republic (2004-2005). 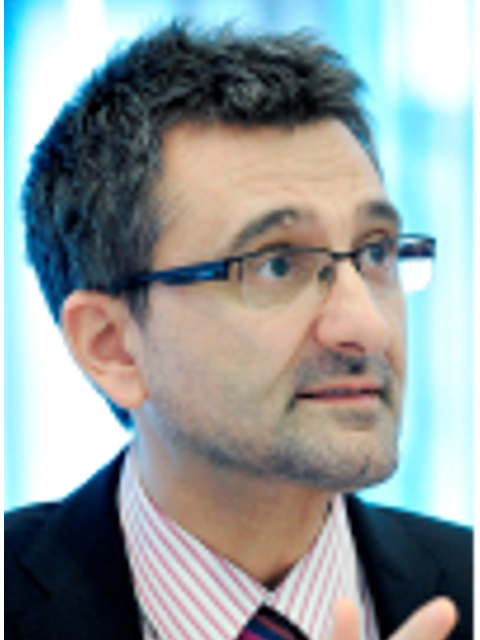 He worked at the Slovak Representation to the EU in Brussels as research, education and culture counselor (2000-2004). In parallel, he has followed a long-term academic and research career, being a full professor in Slovakia and visiting professor/scientist at different academic institutions in many countries. He published more than 100 scientific papers in peer reviewed journals.